123telugu had already reported that Super star Suriya, will soon start filming for Singham 3. Latest update reveals that the film will be shot in the city of Kolkata from the 18th of this month. 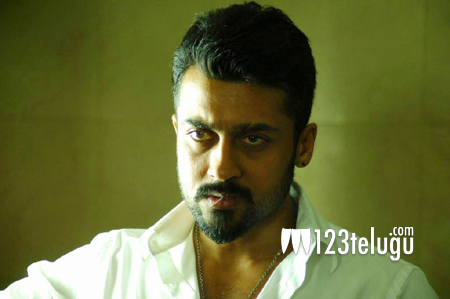 This schedule will feature all the lead stars Suriya, Anushka and Shruthi Haasan. The action entertainer is directed by Hari and Suriya himself will be producing it under his 2D Entertainments banner. Harris Jayaraj will be composing the music instead of Devi Sri Prasad, who scored for the first two instalments. The producers are planning for a release in April, 2016.